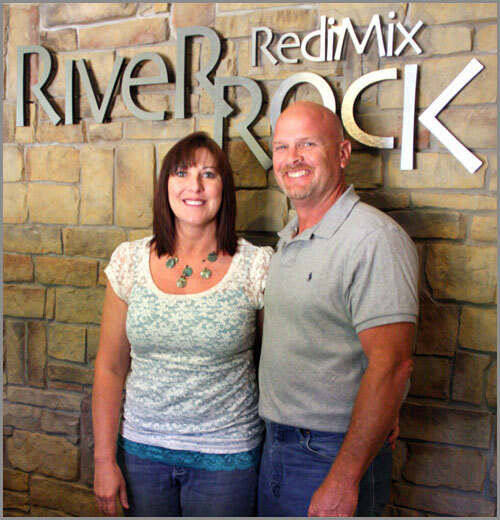 River Rock Redi-Mix was started in 2001 when Jonathan and Lola Whetstine purchased Matherly Concrete from Nick and Faye Matherly. Jonathan has been around the Ready mix concrete business since 1986 when he started working for the Matherly’s as a driver and loader operator. In 2002 River Rock continued to grow and upgrade with a new plant in Willow Springs, MO. In 2009, they opened a new plant and office facility in Cabool. River Rock is a Christian family owned business operated by Jonathan and Lola. They look forward to working with you on your next project. As of July 1, 2016, our operation continues to grow with the purchase of the Houston and Licking Redi Mix Plants that were previously owned by the Manier Family. We look forward to servicing our current and new customers that work in this region. See you out on the job!